Watch out, people: Bigger online ads are headed your way. Google AdSense, one of the largest ad providers on the web, yesterday introduced expandable ads that will grow to twice their height or width. The ads will also act as a layer over an existing Web page--which means that when the ad is active, the original Web page will be blurred and inaccessible. 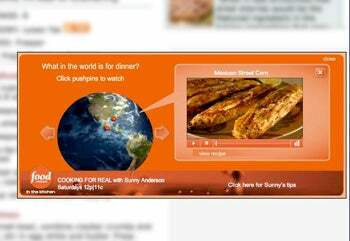 Correction, 3/9/09: The ad will appear on top of the Web page instead of being embedded in it. When clicked, the ad pops out and may obscure the Web page, but the page itself does not change. The new ads will be a way for advertisers to deliver their messages with greater use of multimedia like video, larger photos, and so on. You might not mind these ads if they allow you to catch a movie trailer that you want to see, or to demo a new video game that's caught your interest. However, most expandable ads on the Web today can best be described as annoying and frustrating. I'm sure most of us have experienced this scenario: you're sitting there reading an article online, and your hand or finger happens to move your mouse pointer over a harmless-looking ad. Suddenly, a full-size commercial about some SUV that you really couldn't care less about has taken over your screen. After a few frustrating tries you close the ad and it finally goes back into its box, but then you accidentally open it up a few minutes later and the cycle continues. But, this time Google has your back. Google's expandable ads will only come out of their hiding place if you click on them. That's a smart move by Google, as it weighs the average user's preferences with a Web publisher's needs to offer a variety of ad models to advertisers. Interestingly, though, Google's latest move seems to have upset Web site owners instead of Web users. Under the new model, advertisers can either pay for their ads as a cost-per-impression (every time the ad pops up on a viewed Web page) or cost-per-click (every time someone clicks on the ad). The CPC model is what's upset publishers since they don't get paid unless you click through to the advertiser's Web page and not just to expand the ad. Australian blogger Darren Rowse, who runs the popular Pro Blogger site, decried this state of affairs in a comment on Google's blog post about the new program, "advertisers can use CPC ads, capture the attention of readers, communicate a message to them about their brand," Rowse said. "And if our readers don't click the ads we as a publisher get no benefit from them despite them expanding and covering up part of our site?" Rowse's objection is reasonable since the purpose of an ad is to inform you, the reader, about a given product. If you watch a movie trailer, for example, what is the likelihood that you'll click through to the movie's site? Probably pretty slim, since most people are really just interested in viewing a trailer and not the behind-the-scenes blog posts from the director or other goodies directed at die-hard fanboys. That means businesses essentially get free advertising, while publishers surrender prime Web site real estate. So the next time you visit your favorite blog, the author may be dissing Google a little more than usual. You may not agree, but at least you'll be able to understand where they're coming from.